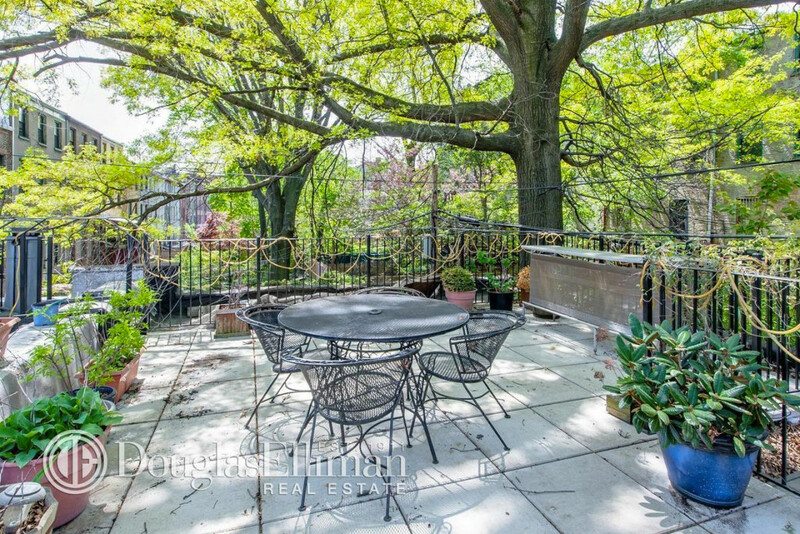 It looks like British playwright Bathsheba Doran is firmly planting roots in Brooklyn with the purchase of a beautiful new loft in Clinton Hill. 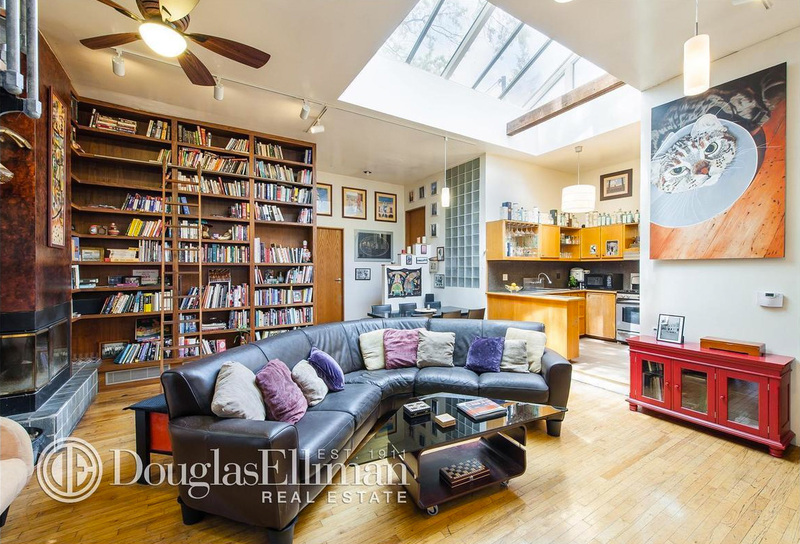 According to city records, the critically-acclaimed writer (who also penned season three of Boardwalk Empire) has just purchased a home at 334 Grand Avenue for $1.3 million. 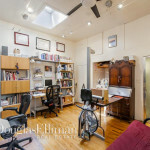 The lovely two-bedroom loft sits within a classic carriage house and could easily be the setting of one of Doran’s riveting works. 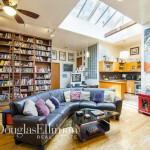 The home is naturally lit with numerous skylights punctuating almost every room, and for those peaceful moments spent contemplating life and work, this charming abode comes with its own private deck hugged by lush trees—led to, of course, by a spiral staircase. 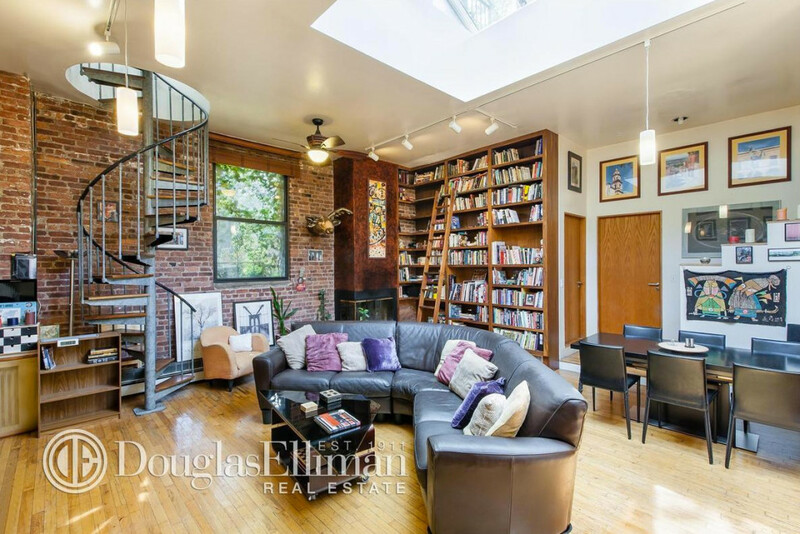 Could this loft get any cuter? 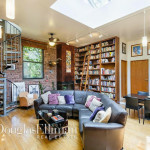 Inside the 1,300-square-foot loft is a large and comfortable living/dining room crowned with a spectacular skylight and lined with bookshelves. 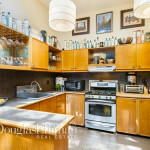 A wood burning/gas fireplace adds warmth to the home, as do the original brick walls and lofty 12-foot high ceilings. 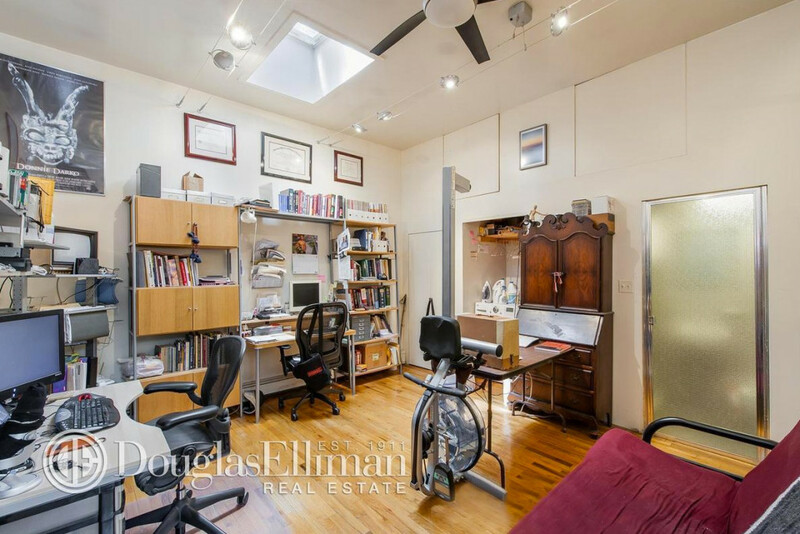 Two large bedrooms sit at the back of the loft; one comes with an en-suite bathroom while the other hosts a loft-den space that can be used as either an office, artist atelier, or simply as another bedroom. 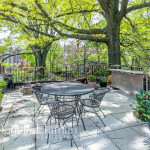 Atop of all this is the verdant private terrace. 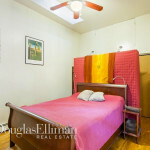 There’s no doubt that Doran will feel at home in this cozy Brooklyn space which sits just steps away from Clinton Hill’s best eateries, parks and other neighborhood haunts.